Rafa Benitez is prepared to leave Napoli at the end of the season and is dreaming of a return to Liverpool, according to London Evening Standard. The paper sites reports in Spain that suggest the Kop legend is resigned to a Serie A exit after just two years – this despite winning the Coppa Italia and Supercoppa Italiana in 2014. Napoli were very keen to tie him down to another long-term contract but it’s said that he is only willing to sign a one-year extension. Alternatively, the Independent reckon that Premier League champions are eyeing the Spanish tactician to replace under-fire Manuel Pellegrini. Benitez still has a house on Merseyside, so a move to the North West could be an attractive proposition to him, says the report. 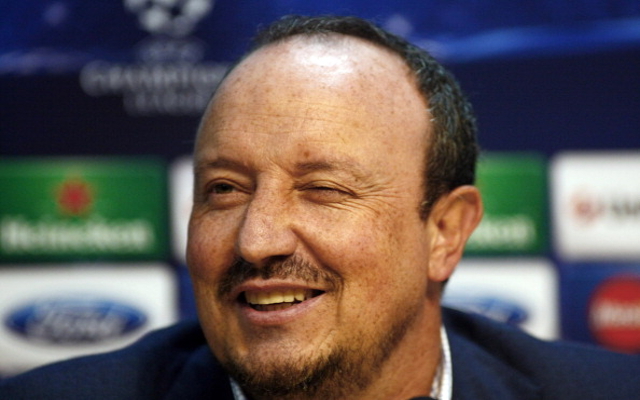 If it is indeed the final days of Rafa’s spell in Italy, he will certainly want to go out on a high and clinch his second Coppa Italia with a semi-final second-leg against Lazio on the horizon. But in terms of Liverpool, it’s hard to envisage a scenario that would see Rodgers exit the club at the end of this season, especially as FSG seem pleased with the progress of the side under his stewardship. Indeed, given how poor our start was and the first few months of the season were; even at our nadir of the season following the defeat to Crystal Palace, Rodgers kept his job, before embarking on an excellent run at the start of this calendar year. If there’s another significant outlay this summer and another campaign where we just fall short of our rivals, then perhaps his position could become not untenable, but at least up for discussion.